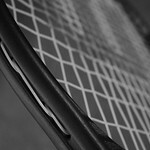 A brief overview of the 2012 Olympic tennis event, the court equipment regulations and highlights. Some famous tennis players are finding themselves in a familiar place this year as the Olympic tennis event will take place at the All England Lawn Tennis Club, which just a month ago hosted the 2012 Wimbledon Championships. The regulations for the tennis court equipment are the same as other ITF competitions and of course, the matches will be played on the legendary Wimbledon grass courts. Many are looking forward to this year`s Olympic tennis matches but many are not aware that 2012 is the first year since 1924 that the Olympics will have a mixed doubles competition. Some star tennis players like Maria Sharapova and Novak Djokovic lead their teams as the flag bearers in the Parade of Nations. Rafael Nadal was also scheduled to be Spain`s flag bearer but was replaced by basketball player, Pau Gasol, after having to withdraw due to a knee injury. 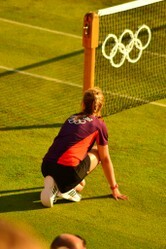 This year the Olympic tennis event will take place at the home of Wimbledon with the legendary grass courts. 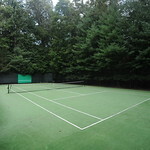 Grass courts are the perfect surface for players with big serves, strong groundstrokes, low slices and solid net skills. Height of the net in the center is 2.99 Ft. Height of the net on the sides is 3.51 Ft. 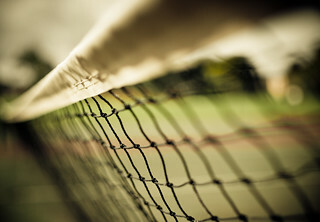 The tennis net is attached between two poles dividing the court in half with both sides being of equal distance. Regulations for the racquets and string are the same as ITF competition regulations. This year, all Olympic tennis matches will use Slazenger Wimbledon Ultra Vis Hydroguard balls which are made to repel more water than a regular tennis ball which is ideal for London`s rainy weather. Wimbledon has used the brand for over 100 years. The Female Olympic USA Tennis Team: Their names and their stories! Wimbledon court that she won her 14th Grand Slam title on about a month ago. Williams beat out Serbia`s Jelena Jankovic, 6-3, 6-1. Swiss player, Roger Federer, aiming for his first Olympic singles gold medal, began struggling in the second round against Colombian, Alejandro Falla, which brought back painful memories of the opponents` battle at that same place; the 2010 Wimbledon tournament only two years ago. Despite his struggle, Federer came back, winning 6-3 5-7 6-3. Andy Murray, who lost to Federer at Wimbledon, is hoping to be Britain`s first tennis player to win an Olympic medal since 1996. He had a first-round win against Switzerland`s Stanislas Wawrinka. Novak Djokovic waited patiently during a 3 ½ rain delay (In London… who`d a thought?). The disruption happened during a 7-all tiebreaker. When the match resumed, Djokovic came out with a fast start. “"I was thinking about those two points and the way I should play them," he said. "But of course this is a specific surface. Everything happens very fast." Djokovic ended up beating opponent, Fabio Fognini of Italy, 6-7 (7), 6-2, 6-2. These are only a few of the Olympic tennis highlights and there are more every day. 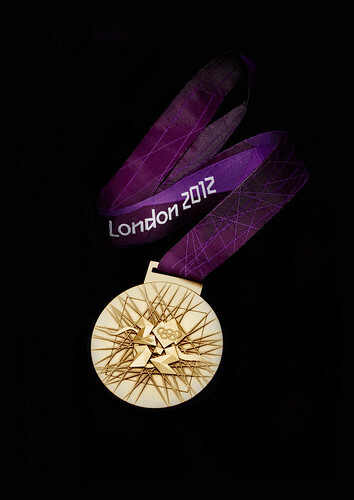 The Olympic tennis matches go from July 28th to August 5th. Click here for more Olympic tennis news. Both Federer and Serena won at Wimbledon just a few weeks ago and both tennis champs are going for their first Olympic gold medal…Will their determination bring them all the way? Andy Murray is also in search of a medal as his country, Britain, has not won an Olympic medal in tennis since 1996 and he might be in luck… he does have home court advantage. What a game!! It always increases one's enjoyment to understand more. Thanks for this. Wow, great page. I like the player run down. Tennis court equipment is crucial at any tennis match but the diversity of athletes is the attention grabber. Novak is Serbia's hero while the Williams sisters continue to impress the global audience. Right now, who do YOU think is the best tennis player? Is it Novak Djokovic, Rafael Nadal, Roger Federer, or is it someone else?